The GPLA Board of Directors meets quarterly to organize volunteers to conduct activities to fulfill our mission to preserve and improve water quality. One of these meetings is the summer Annual Membership Meeting that is open to the public with refreshments and often a guest speaker. Water quality monitoring: This a major effort for GPLA citizen-scientists! Our volunteers conduct water testing twice monthly on Pushaw Lake and Little Pushaw Pond from late spring through early Fall. The testing includes measurements of clarity, dissolved oxygen and phosphorus levels (water quality reports include definitions). These results are reported in the water quality reports generated by GPLA and are sent to the State. GPLA monitoring efforts provide the guidance we need to understand long-term trends and react to any significant declines in water quality. See 2016 and 2017 GPLA Water Quality Reports. 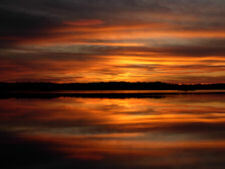 Species monitoring: We also monitor the health of the lake by tracking the plant and animals found in or on the lake. Join the Invasive Plant Patrol and volunteer to monitor a section of shoreline, so we can identify and destroy dangerous and invasive plant species before they become established. 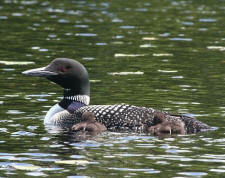 Count loons each year for the ﻿Maine Loon Project﻿﻿, either from shore or from your boat, in a sector of the lake assigned by the project coordinator. Communications and outreach: Contribute articles, memoirs, personal interest stories, and photos to the semi-annual Lakesider newsletter and to this website. Also join us on Facebook. Or just reach out to others in your neighborhood, and tell them about GPLA and the work we are doing to protect the watershed. 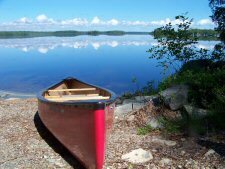 LakeSmart: GPLA has taken on the implementation of the Maine Lakes Society LakeSmart program, flagship of the Society’s lake conservation efforts. Focusing on lakefront property owners, LakeSmart educates, assists, and recognizes property owners who maintain their home sites in ways that manage stormwater on site and prevent groundwater flows of septic effluent to lakes. If you want to get involved or a free visit and screening of your property contact us by emailing pushawlakesmart@gmail.com and see our LakeSmart page. Road and Shoreline Maintenance: Participate in your local road or camp association. If your road is not publicly maintained, plan and budget for private road expenses. Snowplow and grade roads. Maintain ditches and culverts to avoid erosion into the lake. Pick up roadside and shoreline litter. Watershed surveys: Periodically, GPLA has conducted watershed surveys to identify erosion problems. During these surveys, volunteers learn how to identify and assess the severity of erosion that occurs on lakeside properties and camp roads. They talk with landowners about the importance of lakeside buffer plantings and how they can fix runoff problems. Responsible Fishing: Northern pike were illegally introduced into Pushaw Lake, where they have negatively affected the natural balance of fish populations and the rest of the ecosystem. If you catch a pike do not release it back into the lake. Please leave fish stocking in the hands of professional fish biologists at Maine Inland Fisheries and Wildlife. ﻿ Click here﻿ for an identification guide to tell the difference between northern pike, an invasive predator that has upset our natural ecosystem, and the native pickerel species which can also be found in Pushaw Lake and Little Pushaw Pond. Lost and Found: If you have lost or found an item on Pushaw Lake, post it to our Facebook page or use our simple form to let us know!